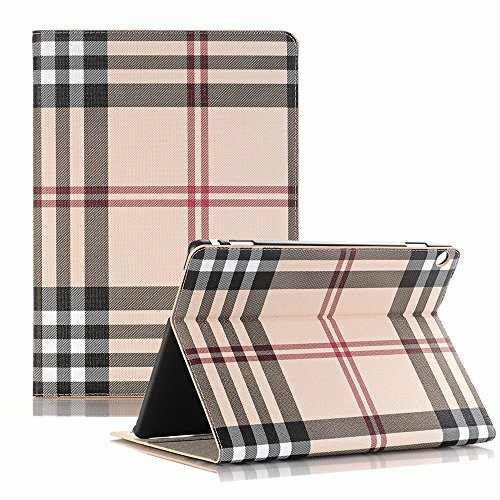 This Infiland case specially designed for Huawei MediaPad T3 9.6 Inch Only. Not compatible with other model Huawei device. Specifically Designed For: Huawei MediaPad T3 9.6 Inch Android Tablet Only,Not compatible other model Huawei device. This case makes it ideal for watching videos, movies, typing and messaging in landscape on your tablet and offers better access to the touch screen than any other case on the market. This case offers full in case functionality and access to all buttons and ports including headphones, volume, mute.Slim Folio Wallet Type case to minimize bulk and fully protect your smart tablet. Premium composition PU leather exterior and soft interior offer great protection against daily use; Classic and professional design, solid construction. Perfectly protect your Huawei MediaPad T3 9.6 Inch Tablet from knocks, dust, damage, scratches.